Do you have a bunch of clothes you don't wear anymore? Do you need to free some space in your closet for the things you will really love and wear? 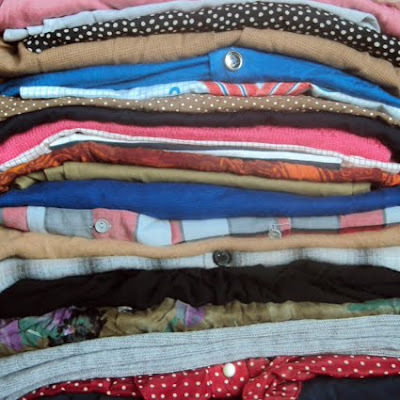 Do you wish your old clothes can be useful and not thrown away? Then come to the 4th swap-NOT-shop party! This Sunday June 6th from 15:00 till 22:00 everyone will be downtown at 6 D.O.G.S. in Avramiotou st, Monastiraki swapping their old clothes for something new and exciting! Want in? Put all the clothes, shoes and accessories you don't want anymore in a bag, bring them over and leave with the same bag stuffed with something completely different! Just make sure the things you'll bring are in good condition and have been washed first. Another person's cast-offs can be your new treasure! More info at the facebook group and the facebook event.